We catered for a buffet dinner catering for Saint Xavier’s Institution Alumni. This was held at the Saints Hall at SXI in Georgetown. 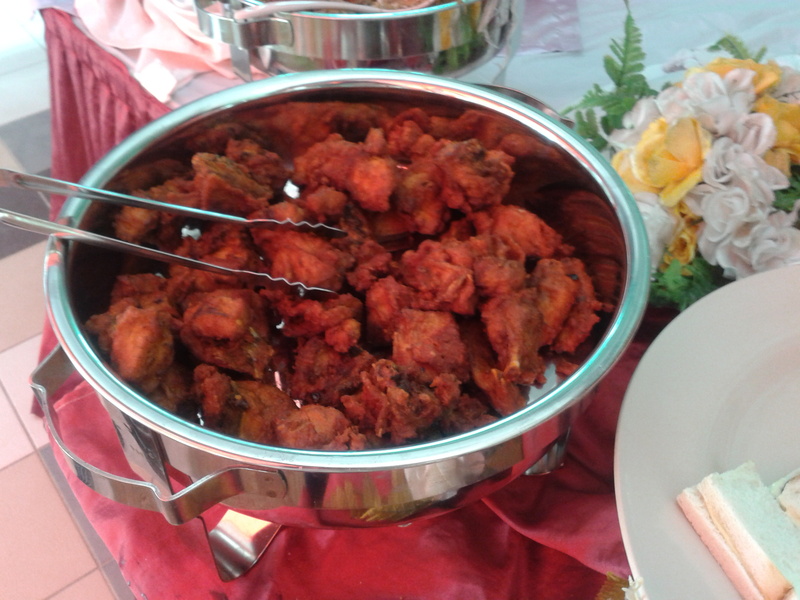 This catering was an interesting blend of Catering Penang DotCom’s services, fusion Penang food. At the same time, it was a challenge to the given catering budget. Watch our video below to see the event and the buffet dinner catering menu of the day. The food was a trendy mix of Chinese, Malay, Indian and Italian, along with local Nyonya fare. It was a buffet catering, with two hawker stalls catered. The stalls were a Char Koay Teow stall and an Ice Kacang stall. Catering Penang DotCom setup an exciting halal Hari Raya buffet catering do in Batu Maung, Penang. The catered food was simple. Very much in line with the Hari Raya mood and theme. The client selected the menu with a nice combination from our array of offerings, with a focus on Malay food selections for the catering. 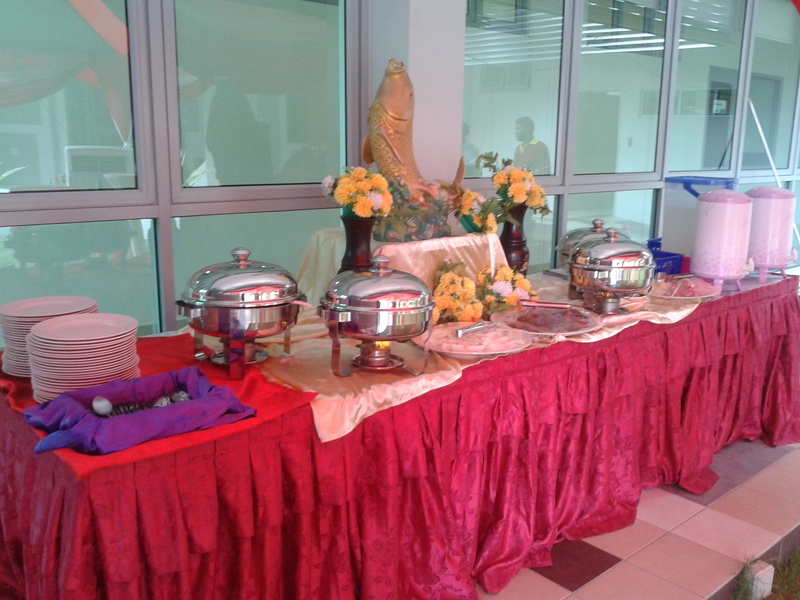 A buffet breakfast catering at Lebuh Cannon, Penang was served in early July. An old and illustrious clan house on Lebuh Cannon requested for our catering services. So, we arrange this buffet breakfast lebuh cannon and it went well for that day. It was an important session in line with its heritage status with government officers in attendance. So, in line with Penang state government guidelines, Catering Penang DotCom had to ensure that our cutlery were of top notch quality biodegradable plates, cups and forks and spoons. We provided the skirting, table cloth and table display decorations that added character to the event. The menu was catered for 100 pax with a challenging budget. Servers were on hand to assist in serving the diners. 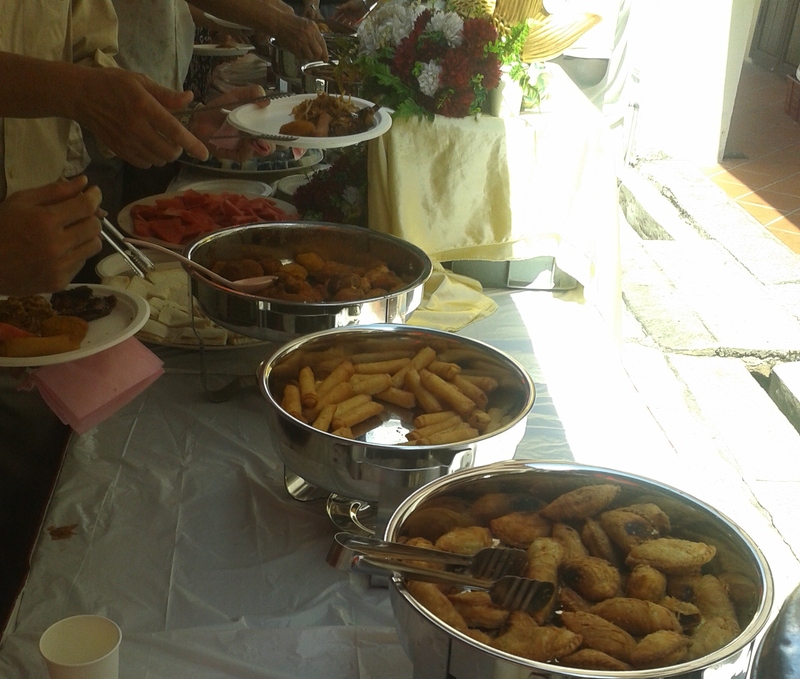 This Penang Hi-Tea buffet catering in Batu Uban, Penang was done from 12.00 noon to 3.00 pm in mid June recently. It catered for 150 pax. The catering menu was a relishing presentation of fine Penang Fusion Food, a mix of Thai, Chinese, Nyonya, Indian, and Western dishes fit for the varied palates of the diners. Catering Penang DotCom provided smartly dressed servers to assist in serving the food. We also provided tablecloths and buffet tables. As the client specified specific color skirting for the buffet tables, we ensured that we meet the clients requirements. Catering Penang DotCom was tasked recently with a product launch catering in Batu Maung to serve for the customers of our client. 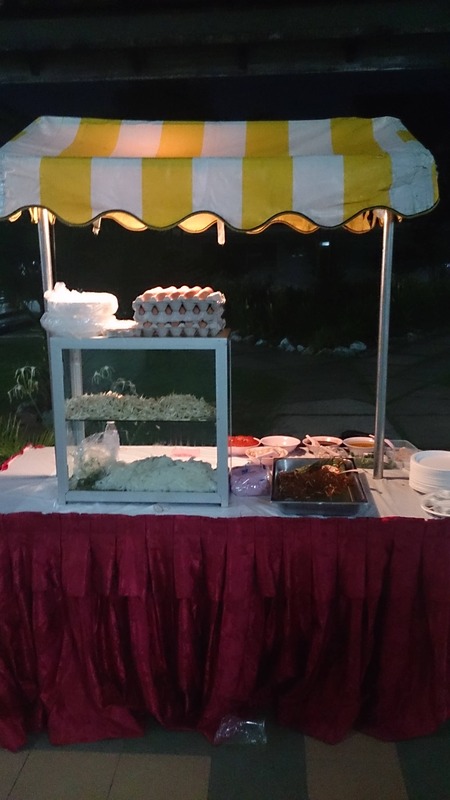 This Product Launch Catering in Batu Maung event was a 2 weekend affair in which we came up with a menu of variety and setting that suited the event and kept our client happy. The catering was for 100 pax per day for this Hi Tea Buffet. This was a lunch affair where we provided the setting and buffet tables. We provided the tablecloths and table skirting as well as the waiters to serve the guests.